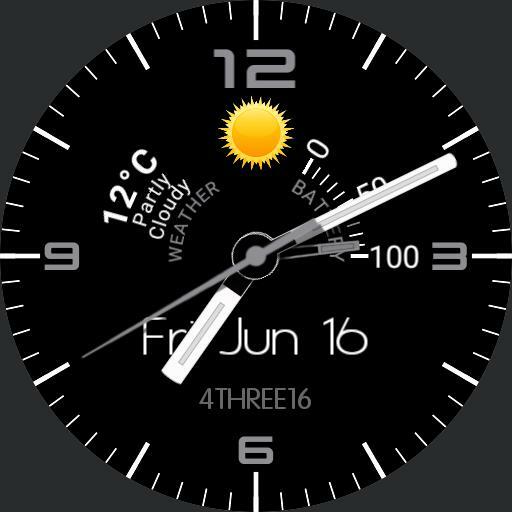 Analogue Round watch with battery level, weather and timer. Tap to activate other tap hotspots. Also AUTO dim and colour change on sunset and sunrise. Some ideas and features copied from WM 100K and Swatch.